In 1492, “Columbus sailed the ocean blue” and discovered the New World. And Oct. 12 was once a celebrated holiday in America. 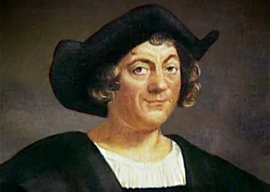 This year, Columbus Day passed almost without notice. And that Columbus Day has become an embarrassment to many and an issue of savage controversy to some reflects a receding belief in this country in the superiority of our civilisation.